Jamaican slang; to laze about, idle, goof off, lollygag, dilly-dally, tarry, behave in an irresponsible manner, to ne’er-do-well, mischief make, engage in shenanigans, tomfooleries, loaf. Come and Skylark with us! 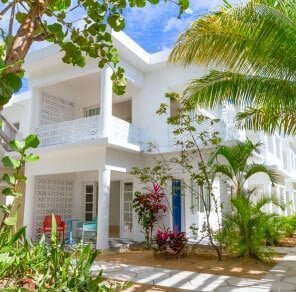 Skylark is a hotel and resort situated on Negril’s famous Seven Mile white sand beach, facing due west towards spectacular nightly sunsets. 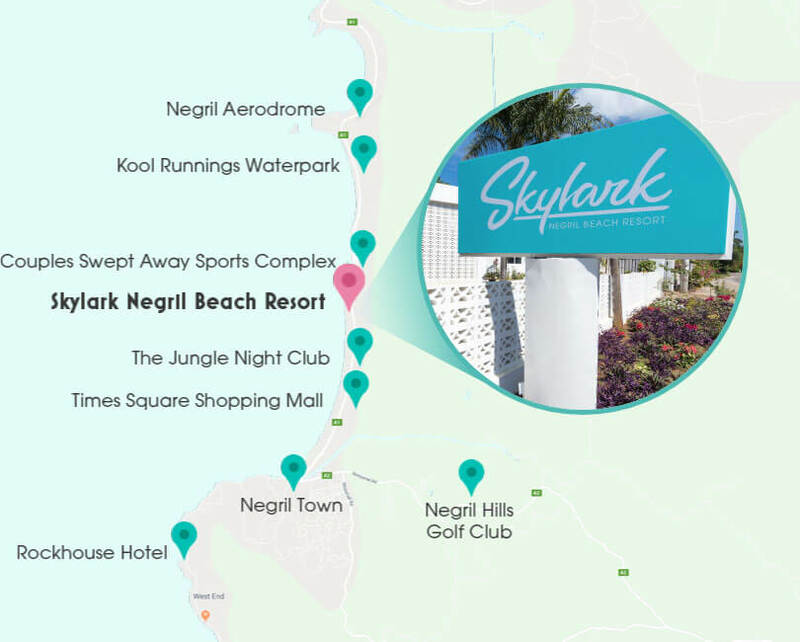 The Skylark experience is designed to promote social interaction between fellow travelers, with environmental and philanthropic elements that organically and inextricably connect the hotel to its Negril surroundings. A Skylark getaway is the perfect last-minute jaunt to recharge your batteries creatively, physically and mentally. 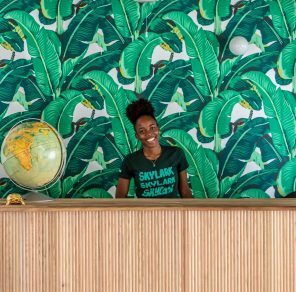 Miss Lily’s has opened its first Jamaican outpost at Skylark, bringing it’s highly celebrated Caribbean cuisine and sunny vibes to the islands. 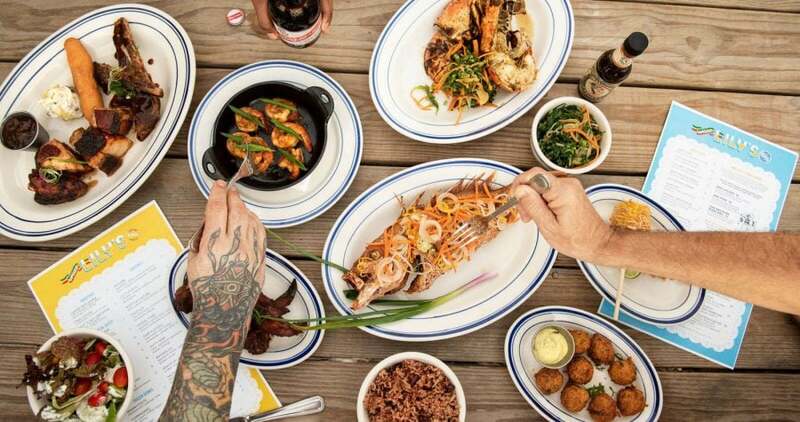 Miss Lily’s at Skylark embodies the best elements of its New York counterpart – a modern approach to classic Jamaican cooking, friendly and cool as-can-be staff, and vibrant and colorful atmosphere. The menu features our on-display jerk smokehouse and BBQ grilling station, with all the classic fixings of “yard” cuisine. Skylark takes a simple, holistic approach to well-being, health and happiness. 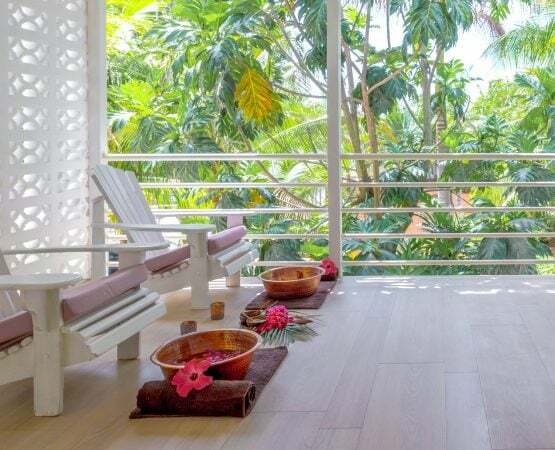 The Skylark Spa is an energetic temple overlooking the hotel’s tropical gardens, offering a full range of massage, foot and beauty therapies featuring all-natural, Caribbean-made products and treatment rituals. Swimming, snorkeling and paddle boarding in the crystal clear waters of Negril beach are amongst the most popular activities at Skylark. 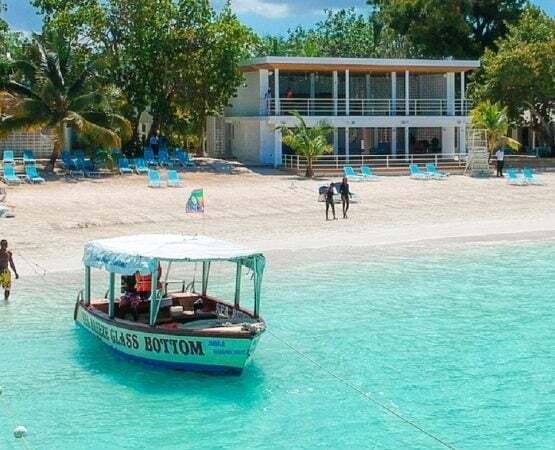 Our resort is perfectly positioned on Negril’s Seven Mile Beach, in close proximity to these water activities. 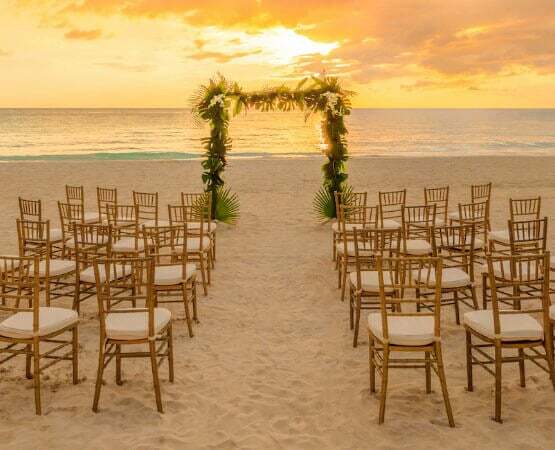 Whether you are planning an intimate sunset ceremony or an elaborate weekend affair filling the entire hotel with friends and family, our exceptional weddings team will create a memorable occasion tailored just for you. 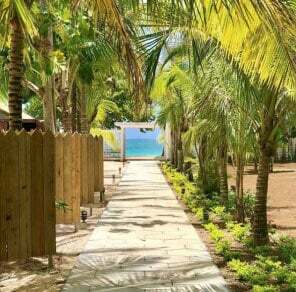 Skylark features over 220 feet of prime white sand beach and reception area overlooking Seven Mile Beach. 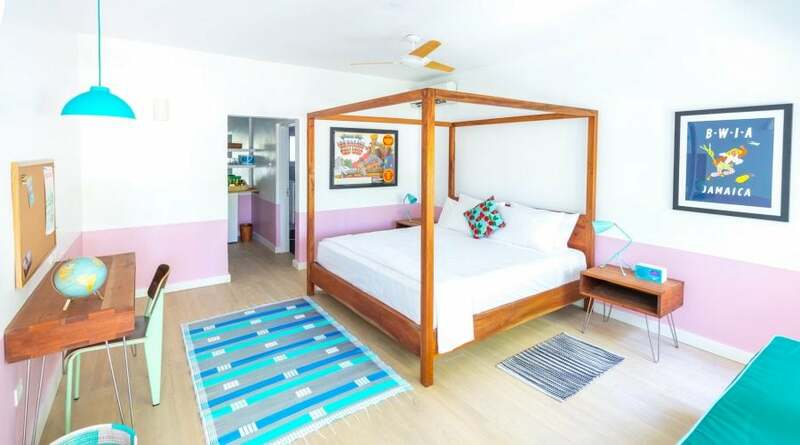 Skylark is a stylishly designed property, speaking to a varying range of engaged explorers, cultural nomads, young creatives, and seasoned veteran Jamaica-philes. It’s fun and relaxed atmosphere spotlights, honors and heavily engages our guests in Jamaica’s rich cultural history, making guests feel local on arrival and providing an instant insider experience. Friendly and connected staff offer highly bespoke and local personal travel experiences. The soundtrack is an ever-present, ultra-educated mix of Jamaican music spanning the decades. Soft white sands, clear blue water, and fun in the sun await at our Caribbean paradise. Discover our kaleidoscope of color and nature when you stay at the Skylark Negril Beach Resort. Your getaway is more than just a trip to the Caribbean; it’s an immersive experience into the heart of Jamaica. Unlock our Negril Vacation Guide for the inside scoop on planning the getaway of a lifetime. Whether you are looking to bury your toes in the sand or dive headfirst into the local culture, with this guide you’ll never run out of things to do. Challenge yourself to new adventures and discover Jamaica and her endless activities. Our commitment is to sustainably balance the interests of all parties – giving guests an amazing boutique hotel vacation, making our awesome Jamaican team partners in our success, taking care of the environment and giving back to our community through the Rockhouse Foundation, transforming the places where Jamaica’s children learn and supporting the great people who teach them. Negril sits on Jamaica’s western coast, 76 km from Sangster International Airport in Montego Bay. The 90-minute ride winds along the coast, allowing you to take in the wonderful sights of western Jamaica. If you have not booked your transfer from the airport to the hotel, we recommend Kenny Tours.